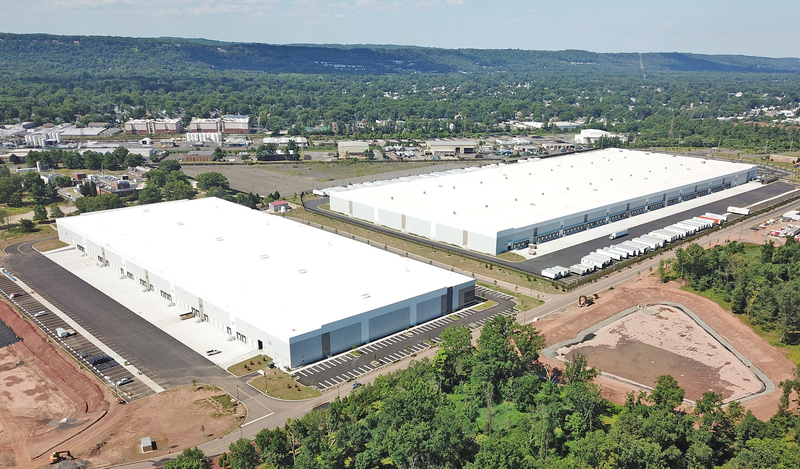 Rockefeller Group, along with joint venture partner PCCP, LLC, announced that Fujitsu General America Inc. has leased 155,000 s/f at Rockefeller Group Logistics Center in Piscataway, N.J.
Fujitsu General is consolidating and expanding its New Jersey distribution operations into this facility. Fujitsu General is the third company to sign a lease at the project which brings the second building to full occupancy. Rockefeller Group is developing five buildings totaling 2.1-million-square-feet at the site. Fujitsu General provides ductless cooling, heating systems, and VRF technology for residential and commercial use. They will distribute air conditioners, heat pumps and other products from the location to customers throughout the Northeast. The Cushman & Wakefield team of Jules Nissim, Stan Danzig and Marc Petrella serves as the exclusive marketing and leasing agent for the development and represented Rockefeller Group and PCCP in the transaction, along with an in-house team led by Rockefeller Group’s Mr. Abramsohn. Fujitsu General was represented by Bob Sager and Dave Blitt from Bussel Realty.